If you build a better stadium network, they will come… and use it even more. That’s what the San Francisco Giants are finding out, with stadium Wi-Fi data usage more than quadrupling this year compared to the last time the Giants were in the NLCS in 2012. 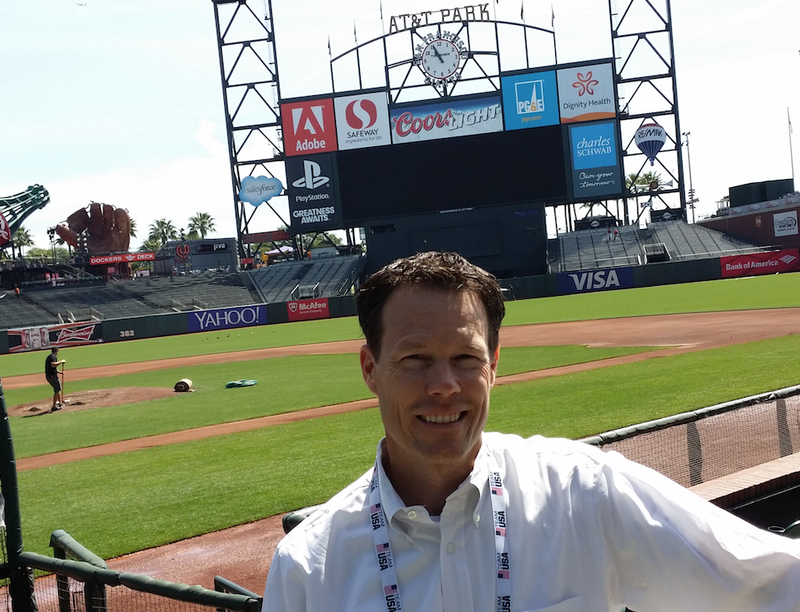 According to Bill Schlough, senior vice president and CIO for the Giants, fans at AT&T Park for the recent National League championship series with the St. Louis Cardinals used more than four times the Wi-Fi data that fans used in the 2012 series. Schlough said that in 2012 (also facing the Cardinals) fans at the four AT&T Park NLCS games used an average of 302 Gigabytes per game; this year, in the three games in San Francisco, that number was 1,247 GB per game. What makes the jump in data even more interesting is the fact that the number of overall users of the Wi-Fi network only increased about 19 percent from 2012 to 2014, with an average of 16,683 users on the network this year compared to 13,509 in 2012, according to figures from Schlough and the Giants. “It definitely shows how data per connection is what is really exploding,” said Schlough in an email. Looking back another couple years is also instructive; in 2010, during the NLCS the AT&T Park network only saw an average of 6,511 fans using Wi-Fi per game. (The team did not track data usage at that time.) 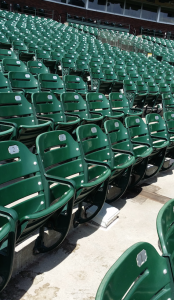 Though the World Series starts today in Kansas City, fans will have to wait until Game 3 in San Francisco Friday to use Wi-Fi since the Royals’ Kaufmann Stadium is one of the 10 MLB parks that don’t have fan-facing Wi-Fi. White box at bottom is one of the under-the-seat Wi-Fi access points at AT&T Park.